Get ready to earn some serious brownie points this Valentines Day with our For Him Gift Box Hamper. 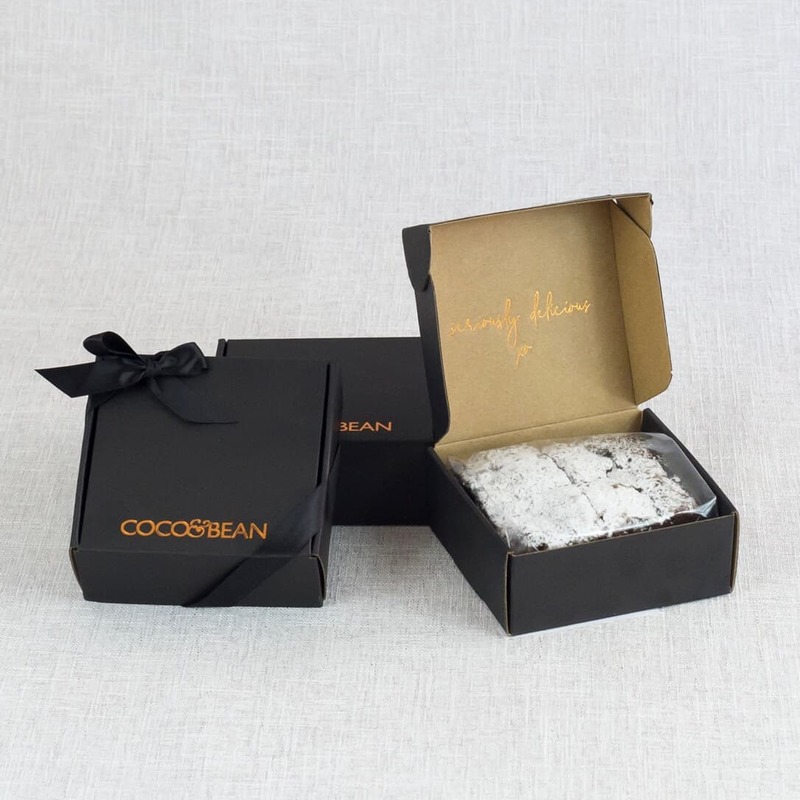 He will love this gift box filled with belgian chocolate brownies, brownie biscotti, belgian chocolate rum balls, belgian rocky rd. 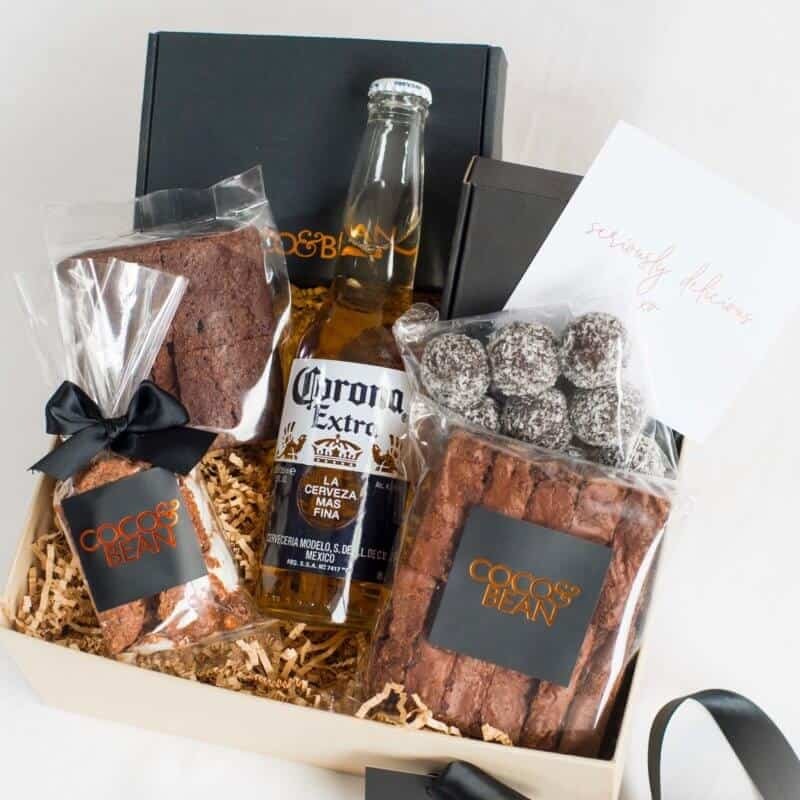 and Corona Extra Beer…this is the gift he’s been dreaming of. 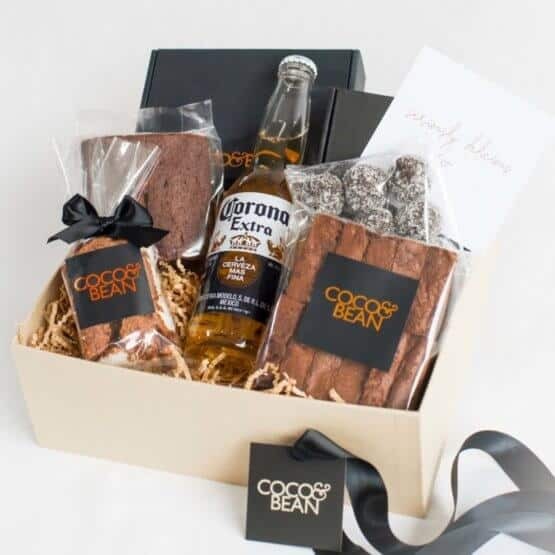 Express your love and appreciation for the special man in your life with a hamper from Coco & Bean. The quality of our gift hamper products is based on our methods and values: that real food, made fresh is best and perservatives and artificial ingredients do not belong in the kitchen. 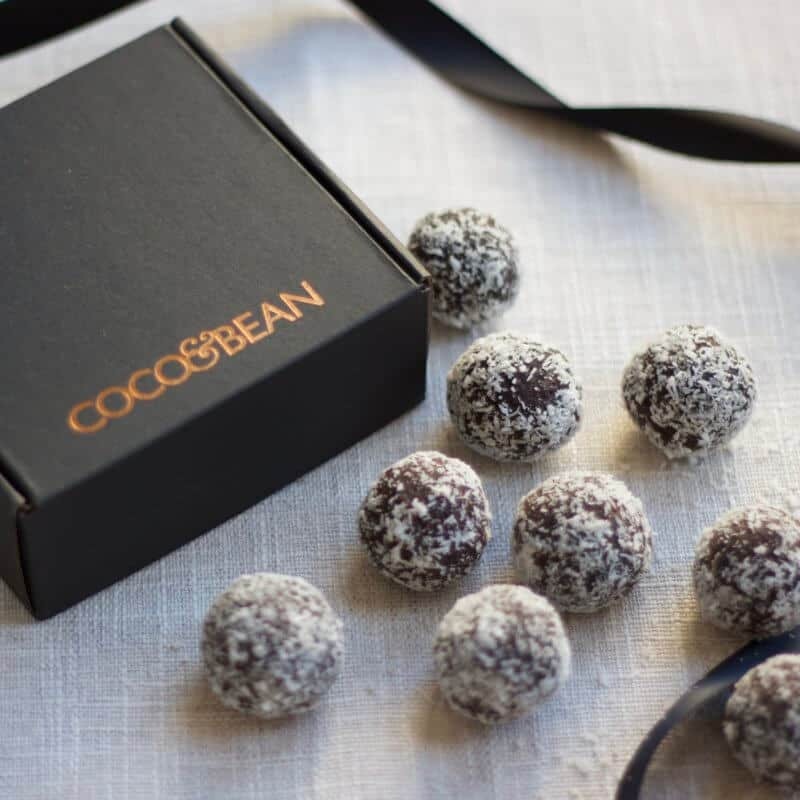 Handcrafted with love in small batches, with the finest ingredients we can source. 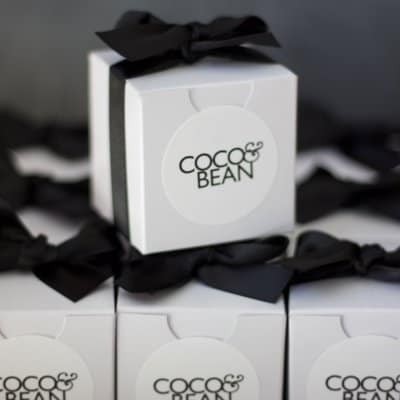 Each sweet treat is baked to perfection and carefully gift packaged in our keepsake gift box, that showcases the love and humane touch that is the core essence of Coco & Bean. SHIPPING: Free Australia wide standard shipping. Standard delivery times based on orders placed before 10am on the same or previous business day. Express Australia wide shipping $15.95 – for next day delivery Sydney Metro, Melb, Bris, Canb, Perth, NSW cities. 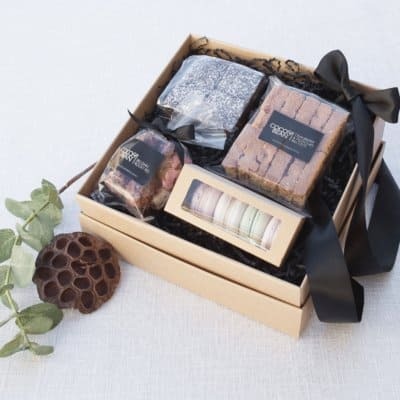 STORAGE: Keep in your gift hamper in a stable temperature below 20 degrees, we recommend best keeping your sweet treats in an airtight container in the refrigerator and bring to room temperature prior to serving. SHELF LIFE: Our productss are best enjoyed asap. 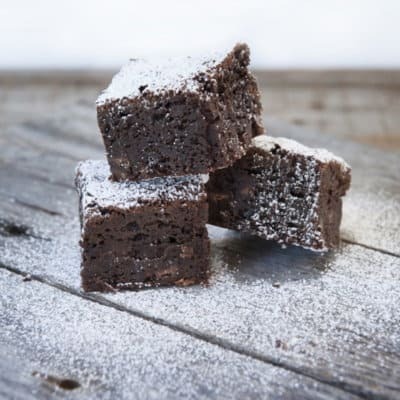 Brownies, Rum Balls within 2 months, Biscotti within 4 months, Belgian Rocky Rd within 6 months. 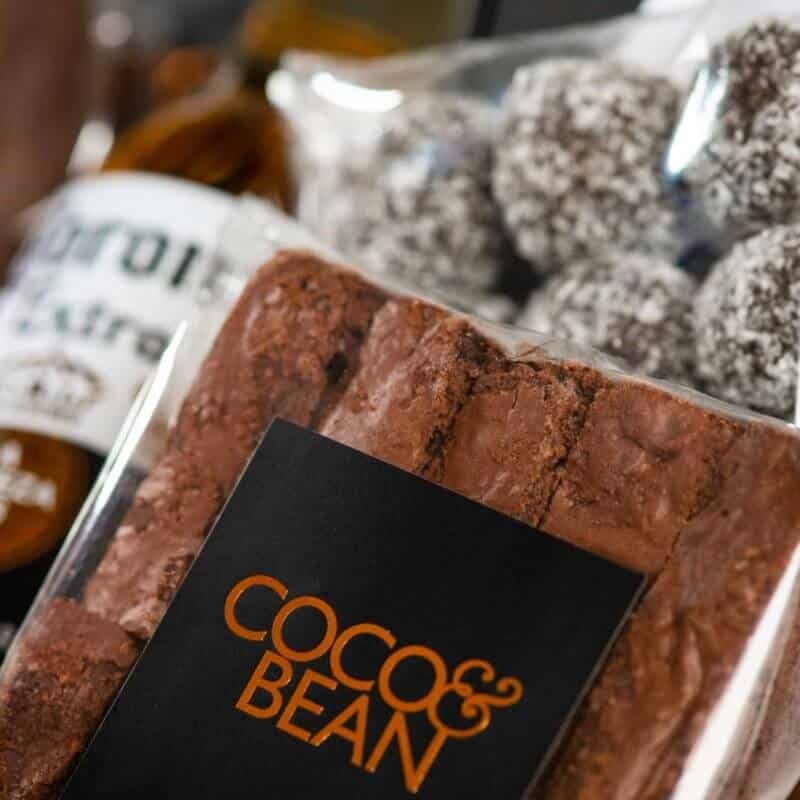 NOTE: Each Coco & Bean Gift Hamper and all of the products are hand made from scratch in our boutique bakery. Occassionally a particular item may not be available so we will replace it with another item of equal or higher value. 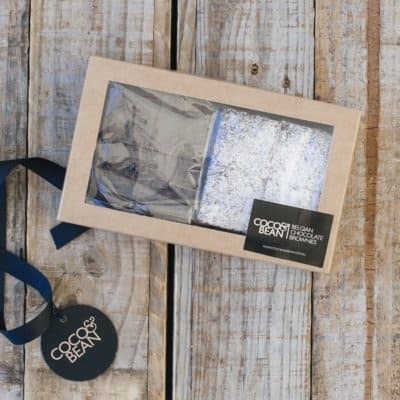 Sign up to our newsletter get exclusive offers and see the sweetest gifts first. © 2010 Coco and Bean. All Rights Reserved. Web Design by Modern Maven.